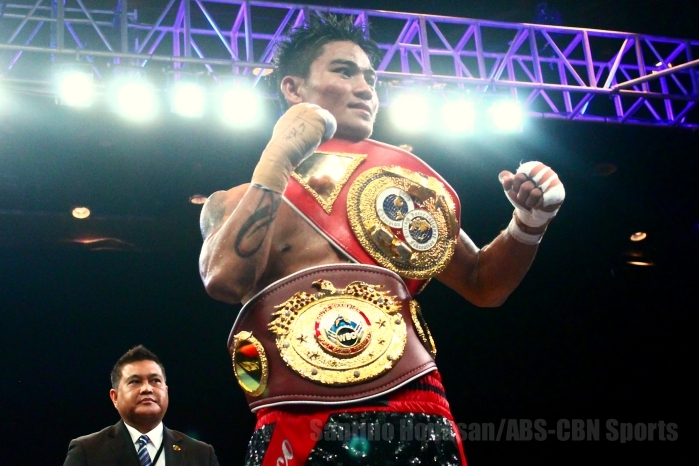 “Prince” Albert Pagara retained his WBO Intercontinental Jr. Featherweight championship and improved his unblemished record to 26 wins with a decision victory over Nicaragua’s Yesner Talavera, while Mark “Magnifico” Magsayo also held on to his IBF Youth Featherweight strap after cruising to a ten-round decision victory over Mexico’s Eduardo Montoya at Pinoy Pride 35, Saturday evening at the Waterfront Hotel and Casino in Cebu City. Coming off three straight knockout victories, many expected the brash Pagara to send another body crashing to the mat for the count, but instead he appeared to be more patient and more calculating in his 26th professional bout. The 22-year old Pagara stalked Talavera for the better part of the 12 round bout, capitalizing on openings, which usually came after the Nicaraguan challenger let out his combinations. In the seventh round, Pagara dropped Talavera, but the challenger managed to get back up. In the latter rounds, the champion and the challenger exchanged taunts and blows, with Pagara getting the better of Talavera in both areas. Pagara turned things up in the final two frames, but couldn’t get the finish, as the bout went to the judges’ score cards, 119-108, 120-107, and 120-107 in the champion’s favor. While Pagara wasn’t able to score the expected finish, the 12-rounder showed that the rising star can maintain the same intensity and pressure for long bouts. Also expected to earn a quick finish, Magsayo couldn’t pull out the stoppage as Montoya managed to backpedal his way out of a knockout loss. Magsayo was his usual aggressive self, landing hard shots to the Mexican challenger, just couldn’t put Montoya down. 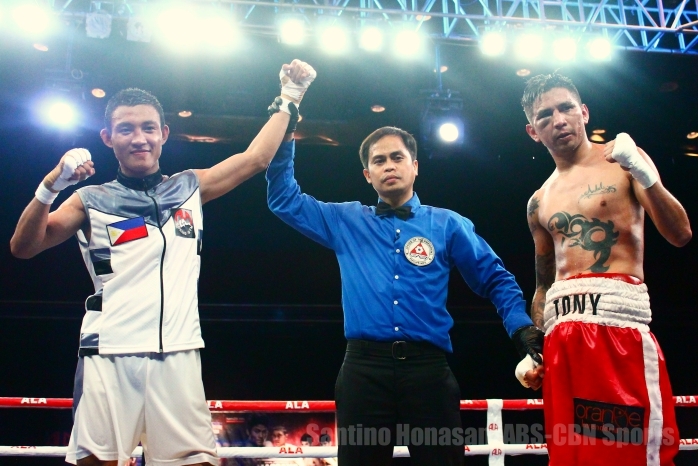 Magsayo scored a knockdown in the seventh frame, much to the delight of the pro-Pinoy crowd, but also couldn’t keep Montoya down for the count. After ten rounds, Magsayo came away with a 100-89, 97-92, 99-90 Unanimous Decision win, extending his perfect record to 13 straight bouts. In the featured bout, Kevin Jake “KJ” Cataraja also grinded out a decision win against Mexico’s Tony Rodriguez. Cataraja improved to 3-0 in his professional career, with his eight round bout going to the judges’ cards, 78-74, 79-73, 80-72 in his favor.